Shire Oak offers beautiful oak framed gazebos that compliment any surroundings. All of Shire Oak’s gazebos include a chunky oak frame, oak rafters and oak tile batten bringing a look of traditional quality to the product. Cedar shingles handsomely crown the oak gazebo to provide a stunning finish. They are offered in a variety of sizes and styles to suit your needs and are a wonderful addition to any outdoor area. 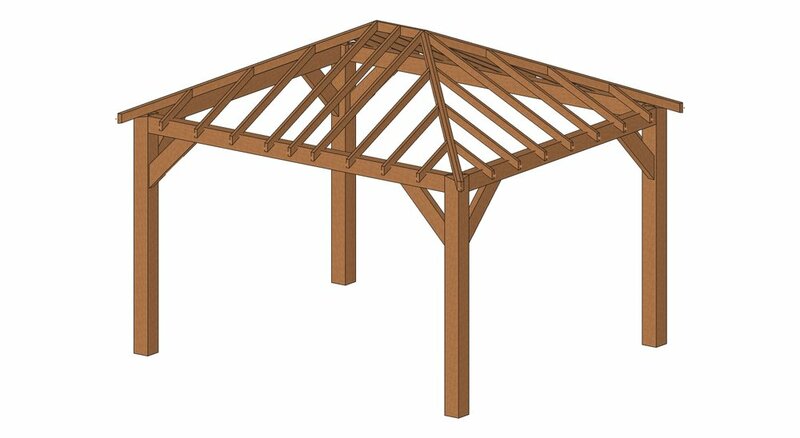 The oak gazebos can be collected or delivered as a DIY kit. We supply an installation guide which takes you through the process to completing your gazebo build. 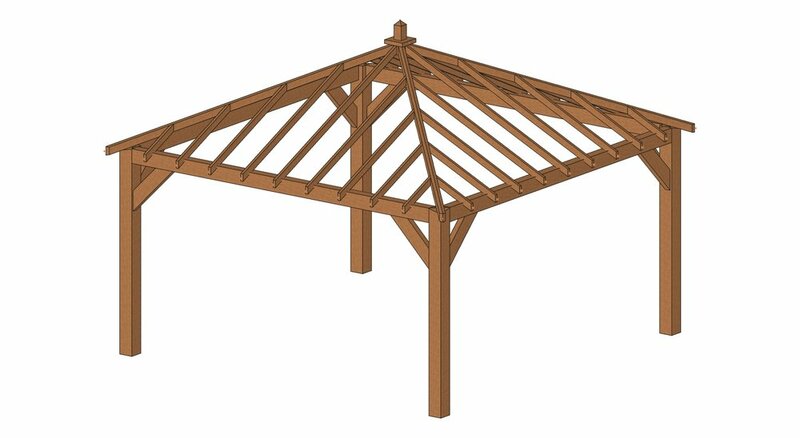 It is necessary to have at least two people for the erection of the main frame but one person can roof the oak gazebo. An experienced DIYer would be able to install this, otherwise consider a local tradesmen or our installation service. We offer an oak gazebo delivery and installation service to some areas. We bring the oak project with us and so need good vehicle access, we also need access to electricity and water. It is important that there is a flat and level prepared base for us to install the gazebo onto and 600mm clear space around the perimeter for access to the roof. If you cannot meet these requirements but would like installation then please let us know, we can overcome most things. Please provide your address for an installation quote. Shire Oak’s range of oak gazebos can be placed directly onto the ground where they will be secure due to their own weight and the joinery used. The can be put on patios, decks, concrete pads or other surfaces. We also offer granite staddle stones, these are an ideal support for oak posts and are attractive too. It is important to keep the posts as dry as possible to increase the longevity of the oak gazebo. If you are planning to use an existing base you will need to ensure there is no standing water when it rains, otherwise the posts will absorb this. Shire Oak uses blue label no.1 certigrade western red cedar shingles on our oak gazebos. These top grade shingles are heartwood, end grain and clear. They contrast beautifully against the oak rafters and oak tile batten. Over time they will weather to a silver grey. 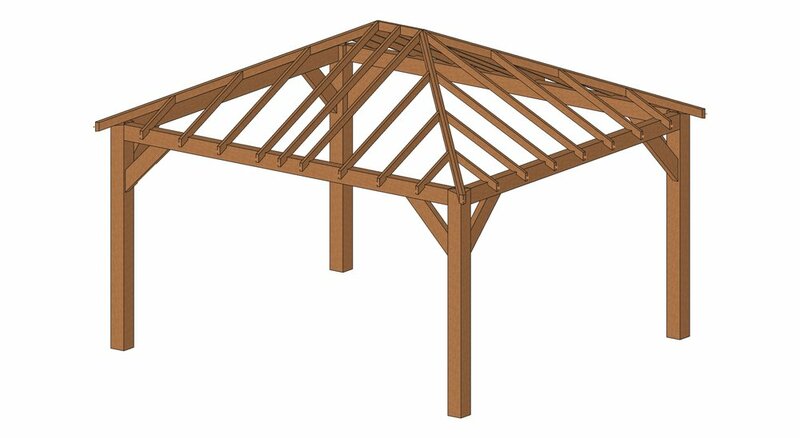 We can supply oak gazebos with 4 posts up to a maximum span of 4m, above this size we include an intermediate post. For example; a 4m sq. 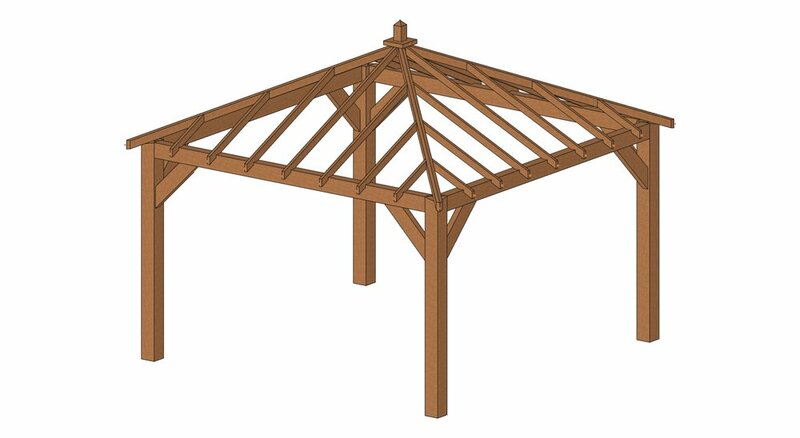 oak gazebo has 4 posts, a 5m X 4m will have 6 posts and a 5m sq. will have 8 posts. If you are interested in larger gazebo then please contact us with the size required and we will be happy to discuss your design. Whilst we offer standardised designs and sizes we realise this is not suitable for every customers needs and so modifications can be made to our existing range or a completely bespoke oak frame designed. For our standard gazebo specification we have the price list below. This is in no way exhaustive and we can make these to the size required. We do not include fixings for the tile batten or shingles. We recommend that you use a power tool for roofing the gazebo to save time and so you will need the fixing that correspond to your tool. The below prices are inclusive of VAT.